Y = American and French occupied by Troops advancing through Southern France. 15 Sep 1945 – A formation of some 300 Aircraft flies over London in the 1st Battle of Britain Anniversary Flypast. The Formation was led by 247 Squadron in their new Vampire fighters, the 1st time the Public had seen the Aircraft. This Flypast was apparently led by Douglas Bader. 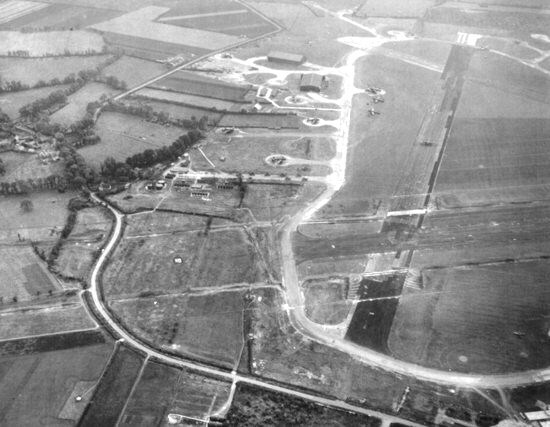 Operation ‘Spasm’ was run by Bomber Command out of RAF Mildenhall in late 1945, as some kind of sightseeing Tour over Berlin. There doesn’t seem to be much recorded information on the Operation. These were not Tours for the General Public- they were run to allow ‘Ground Personnel’ and others to see the damage that had been inflicted on Germany 1st hand. Three Aircraft, one of which was Piloted by the Squadron Commander, W/C A J L Craig DSO, DFC, flew to Gatow Airfield, GT-E carrying 13 Service Personnel including A/Cm Bottomley and S/L Burrel who were all permitted to stay in Berlin overnight and return the next day. In May, the Gatow Airfield was overrun by the Red Army, who handed it over to the British Army on 2nd July 1945. Initially, Gatow was called Intermediate Landing Place No. 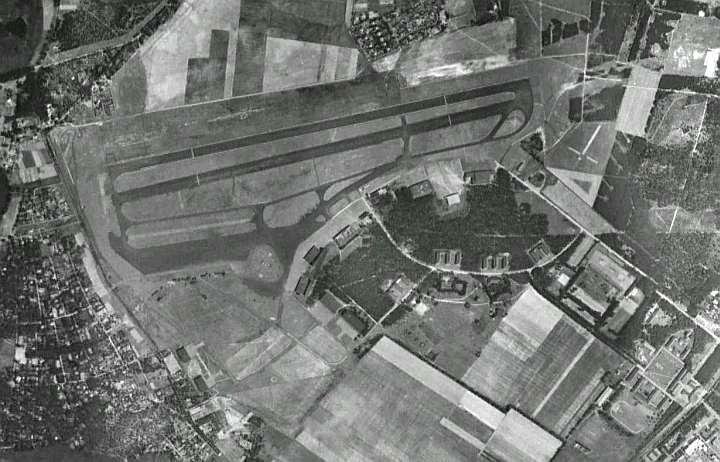 19, but on 19th August 1945 was renamed Royal Air Force Station Gatow, or RAF Gatow for short. RAF Gatow was on the edge of the West-Berlin zone. In fact, its closest neighbour was an East German National Peoples Army (German: Nationale Volks Armee, or NVA) Tank Battalion. The later Berlin Wall formed the western boundary of the airfield, which at the airfield was not a wall, but a wire fence. Officially this was a military courtesy of the East German Army to the RAF (which obviously no-one believed). After the Reunification in 1990, it was found out that the wire fence was indeed part of an existing attack plan to capture the Airfield (Operation Centre) during the 1st hour of an Attack. RAF Station Gatow became the airfield for the British sector of Berlin, and the base for the only known operational use of flying boats in central Europe. During the Berlin airlift, Short flying boats were flying out of Lake Wannsee, operating from the Deutsch-Britischer Yacht Club in Gatow. Having been built for operations from seawater, they were the planes of choice to carry much-needed supplies of salt to the besieged city. 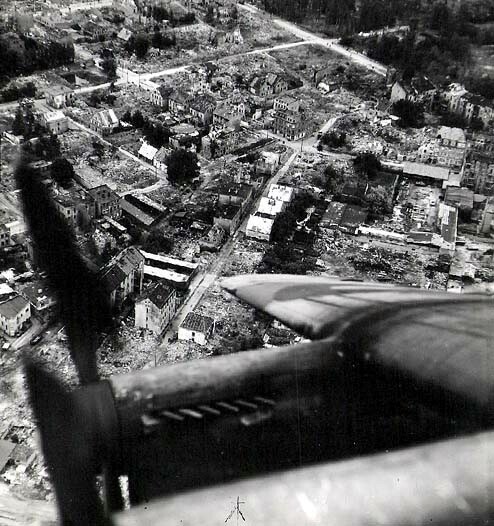 The airlift made Gatow a major airfield, the 1st transport aircraft of the airlift landed at Gatow on 28 June 1948. Gatow also played a major role in civilian air traffic, with BEA serving Berlin from 1946 until Tempelhof opened as the civilian airport in 1950. RAF 35 Sqdn Graveley 15th May 1945 to 17th September 1946 PFF (Service Record). In WW2 the Squadron’s Lancaster’s were coded “TL-“. One of the earlier operations Craig and his squadron were involved in was ‘Operation Dodge‘ in which large numbers of Lancasters were flown to Italy in the 2nd half of 1945 to help in the repatriation of soldiers of the 8th Army, some of whom had been away from home for 5 or 6 years, fighting in North Africa and Italy. One of the pick-up airfields was RAF Pomigliano, near Naples, and one of the attractions was a sight-seeing trip to Pompeii in the shadow of Mount Vesuvius, which had erupted the previous year (1944), its last major eruption. 1n 1946 Pomigliano near Naples and close to Vesuvius was a Staging Post, handling mainly freight carried usually in Dakota’s. In this activity, there were loading squads (German POW’s) and there was an Air Freight Section/ Depot. There was some Mosquito’s based there and the crew members were officers and they sometimes flew to the UK. Personnel were changing all the time as demob dates became due. Pomigliano, it was a good unit and they lived well. 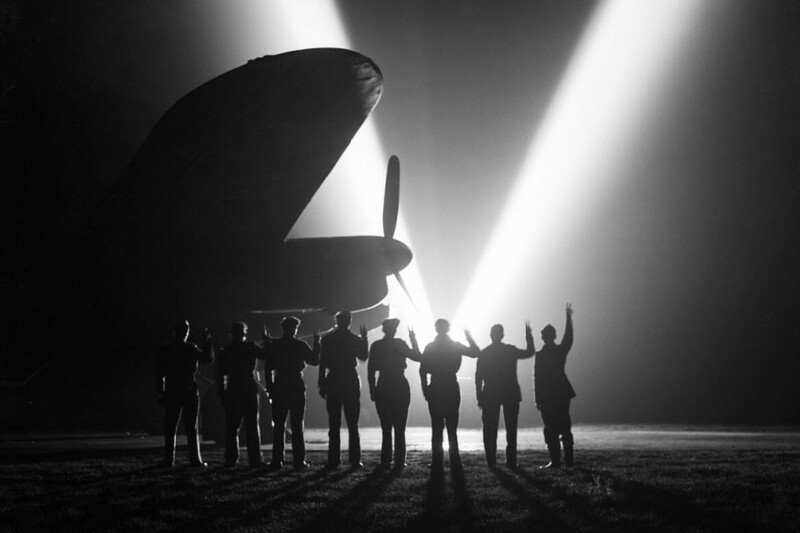 There were no Ships available to get Army troops home, so the powers that be ordered several squadrons of RAF Lancaster 4-engined bombers stripped of armament to bring them home 20 to each plane. Pomigliano near Naples, with Mount Vesuvius on the landing Circuit, which looked quite menacing – as at that time clouds of smoke were still being given out after the major Eruption in 1944. The day after the landing was considered a rest day and was spent visiting the Ruins of Pompeii, which at the time was considered a great experience and not to be missed. A matter of interest to the modern traveller – the trip out was 14-15 hours – much different to today’s travel by Jet-liner. Hi, – My grandfather was F/O Frank Cheshire, and the photo on your site is one of only 2 I have ever seen. I was hoping, I know it may be in vain, that you may know more about him, the plane (TL-L), Crew and any Combat History. I knew he was in 35 Squadron. He passed away about a year ago, and due to family complications never really got to know him well. Just hoping you or someone else may know anything tangible about him. I was a good friend of Frank. We were billeted in the same hut at Graveley. We socialised together when 4 or 5 of us would hire a Taxi and go to St Neots and have a few beers before going to the local Dance Hall. I have a few photos taken at Graveley.